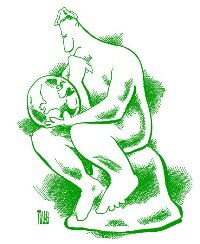 Click here for Jamestown coal plant campaign cartoons by Jamestown resident Al Cala. Unneeded New Coal-Fired Plant Defeated! Local ratepayers and a coalition of twenty regional, statewide and national environmental organizations have successfully prevented the construction of a new $500 million coal-fired power plant in Jamestown, New York. The broader campaign against this plant began in 2005 and victory was evident in 2012. During these seven years opponents of the proposed coal plant identified and utilized key opportunities with regulatory and legislative bodies and funding sources to prevent the Jamestown Board of Public Utilities (JBPU) from advancing this coal project. The JBPU was also hindered by the rising price of coal (which doubled during this period) and the utter lack of merit of the JBPU proposal itself. This new power plant was not needed to meet ratepayer electric needs and its cost was astronomical. Ironically, the success of the campaign against this new coal plant may also have been aided by the failure of the U.S. Congress to pass “cap and trade” climate protection legislation because, if that legislation had been enacted, it might have provided additional funding for carbon capture and storage (CCS) demonstration projects. And some of that money might have found its way to Jamestown, boosting this project. However, even if that unlikely scenario were realized, opponents of this boondoggle likely would have found other ways to stop it. Ten years ago the JBPU, the municipal utility serving Jamestown, New York, began proposing the construction of a new $145 million 50 megawatt coal plant to replace its aging and polluting Carlson coal plant. The JBPU’s original proposal – which envisioned a conventional coal plant with no controls on climate-changing carbon dioxide emissions – was eventually modified in 2008. Then, the JBPU announced and began promoting a new $500 million coal plant of the same size that would also serve as a carbon capture and storage (CCS) demonstration project. The shift to CCS did not persuade concerned ratepayers or environmental groups to support the new proposal. In their view, both proposals were unjustified and without merit. From the beginning the JBPU pursued a new coal plant despite its huge cost and the fact that a new coal plant of any kind was not needed to meet Jamestown ratepayers’ electricity needs which for years had been met almost entirely by low cost hydropower from the New York Power Authority (NYPA). Opponents of continued coal-burning repeatedly brought this key fact to the attention of the JBPU, suggesting that it should be the cornerstone of JBPU energy policy, but to no avail. Ratepayers and environmentalists further argued that through a greater commitment to energy conservation and efficiency the JBPU could reduce its ratepayer’s electric demand to a level such that ratepayer electric needs could be reliably met entirely by the JBPU’s NYPA allocation – the only exceptions being modest cost-effective purchases from the regional grid for hourly balancing purposes or under extreme circumstances. Thus, the JBPU could abandon costly and polluting self-generation of power including the operation of its existing coal plant. Eliminating coal-burning with a more aggressive energy conservation and efficiency program would cost much less, lower electric rates, save state and federal taxpayers the hundreds of millions of dollars required to build a new $500 million coal plant, and reduce both land destruction caused by coal-mining and air pollution caused by coal combustion. Unfortunately, in 2008, NYS Governor David Paterson endorsed the ill-conceived coal plant CCS project which was then turned down three times for federal funding by the U.S. Department of Energy. The JBPU and the Governor also failed twice to get CCS-enabling legislation passed by the NYS Legislature and saw two important backers -- Praxair Corporation and the University at Buffalo -- pull out because they came to believe that the project was neither politically nor economically viable. After all, in order to be build this project the JBPU would also require a massive amount of state funding – as much as $100 million. While New York’s current governor, Andrew Cuomo, has not stated a position on this project, it is clear that massive state funding would never be provided given New York’s on-going budget issues and increasing taxpayer opposition to pork-barrel spending. Besides, the state funding issue is moot because the project is without federal support and because the JBPU itself appears to have abandoned it, as per the mysterious, unacknowledged absence of the project in the utility’s 2012 Integrated Resource Plan. Oddly enough, in its new Integrated Resource Plan the JBPU has now reversed itself and resumed mentioning the option of building a new conventional coal-fired power plant without controls on carbon dioxide emissions. This type of project would never be approved by either the NYS Department of Environmental Conservation (which rejected it in June of 2007) or the U.S. Environmental Protection Administration (whose 2012 greenhouse gas emission standards for new power plants exclude it). President Barack Obama’s re-election solidifies the EPA regulation. While Senator Charles Schumer’s has an exemplary environmental record, the senator was quoted in the July 23, 2012, Jamestown Post Journal saying that he would provide “relentless” support for the JBPU’s $500 million new coal plant. Fortunately, nothing came from the ardent proclamation of support. The vast majority of the electric needs of the JBPU’s 20,000 electric ratepayers are met by low cost power (2 cents per kWh delivered) from NYPA, making it obvious that there is no need for either continued operation of the JBPU’s existing coal-fired power plant or a new $500 million coal-fired power plant. 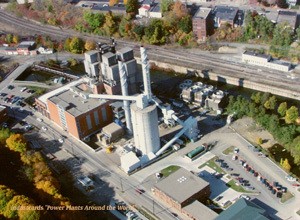 A sensible, cost-effective and environmentally clean energy plan for JBPU ratepayers would rely on enhanced energy efficiency and demand reduction strategies coupled with occasional modest purchases off of the regional electric grid to achieve near 100% reliance on 2 cent per kilowatt hour NYPA hydro power for Jamestown ratepayers. This sensible plan was irrationally rejected by the JBPU in favor of building a new coal plant at great expense and risk. The JBPU never fairly examined alternatives to its proposed new coal plant. A March 2009 study by Optimal Energy, commissioned by NYPA, concluded that the JBPU could reduce its ratepayer electric load by 20% within 5 years through a cost-effective energy efficiency program. That reduction is much more than would be required to eliminate any need for (much more expensive) JBPU self-generation. The technology the JBPU intended to use for its proposed new coal plant is called “oxycoal,” i.e. burning coal in oxygen and recycled flue gas, an energy intensive process which significantly decreases power plant efficiency – by as much as 30% -- and therefore significantly increases power production costs. The proposed 50 MW Jamestown coal plant with CCS would have had an output of just 30 MW because of the energy requirements of producing oxygen for oxycoal combustion and compressing, pumping and injecting carbon dioxide from the plant into the ground miles from the plant. While the JBPU refused to release its estimates of the production cost of electricity from its proposed new coal plant, our estimate – based on JBPU data – was that the plant’s output would probably cost 20 cents per kilowatt hour or more, an amount which would have significantly raised electric rates for JBPU ratepayers and make it impossible for the JBPU to sell excess power to non-ratepayers at anything other than huge losses. The JBPU planned to charge $145 million dollars of the cost of the $500 million plant to its ratepayers and to pay debt service on this amount by raising ratepayer rates. Yet this project could never pass a fairly administered prudence review by the NYS Public Service Commission because of its high cost and the existence of much cheaper alternatives. The NYS PSC, in its July 20, 2010, ruling on a JBPU rate increase request established a process for evaluating future coal-burning in Jamestown and stipulated that JBPU new coal plant development costs should not be billed to its ratepayers. We estimated, based on the JBPU data presented to the PSC, that the JBPU spent $10 million developing and promoting a new coal plant project. These costs amount to an incredible $500 per JBPU ratepayer. Thus far, New York State has paid an estimated $8 million in developmental costs for this coal plant through NYSERDA, the Empire State Development Corporation, and funds allocated by the NYS Legislature. This money has been completely wasted. The proposed 50 megawatt plant would have had an output capacity far in excess of any conceivable portion of JBPU ratepayer electric load not already met by low cost hydro power from NYPA. Thus, the JBPU must have been planning to sell all or most of the plant’s output to non-ratepayers – a completely uneconomic plan given the super-high cost of producing this power vs. likely market prices for electricity. In 2009, with our active encouragement, the U.S. Department of Energy (DOE) Clean Coal Power Initiative (CCPI) twice rejected the JBPU’s funding application for this project. Then, in early 2010 the USDOE announced funding recipients of its industrial CCS program (apparently recommended to the JBPU by Senator Charles Schumer) and the JBPU was not among them. Clearly, the JBPU’s funding applications have not been competitive with other CCS demonstration project funding candidates. Until recently, the USDOE has not funded any oxycoal CCS demonstration projects. On August 5, 2010, Energy Secretary Steven Chu announced that FutureGen 2.0 will involve repowering a 200 MW existing coal plant in Meredosia, Illinois – making clear the DOE’s preference for demonstrating CCS technology on a larger, existing coal plant. Even if future federal funding did become available to build this project – and it is doubtful it will be – in addition to the $145 million the JBPU would need from its ratepayers the JBPU probably would need $100 million from the New York State in order to meet federal funding matching dollar requirements. NYS’ budget crisis and other priorities guarantee that these funds will not be available. Even assuming the impossible, i.e. that all CCS construction and demonstration costs for this project were covered by others, JBPU ratepayers would still have experienced much higher electric rates for years to come because of the plant’s very high operating costs over its 50 to 60 year lifespan coupled with the huge losses the JBPU would experience trying to sell power from the new plant on the open market. Without on-going life-of-the-plant federal or state funding (both unlikely in the extreme), the JBPU would face severe economic pressure to abandon CCS as soon as the DOE’s three year demonstration period was over in order to reduce operating costs and minimize expected massive dollar losses. Thus, carbon dioxide emissions levels for most of the plant lifespan probably would have been much higher than promised and much higher than the near zero emissions which could be achieved by an energy plan more reliant on energy efficiency. Enabling legislation for this project failed to pass in the state legislature for two successive years (2009 and 2010). The proposed state enabling legislation did not address the critical CCS liability issue. So, even if the enabling legislation had passed, the JBPU and its ratepayers would have remained liable for all risks associated with the CCS component of the project, thereby potentially raising the costs of this plant to unforeseen even more astronomical levels. Secret JBPU test drilling, performed under the supervision of NYSERDA, failed to find suitable geological reservoirs in which to bury CO2 from the proposed new Jamestown coal plant. Key initial project partners -- Praxair, Inc. and the University of Buffalo – withdrew from the project team in 2009 on the eve of consideration of the project application by the federal government, and comparable new partners have never been found. More recently, the JBPU signaled its intent to close its Carlson facility soon. Its operation has been significantly scaled back and the plant’s coal weighing scale has been removed. However, the JBPU’s new Integrated Resource Plan suggests that the JBPU is attempting to use this unavoidable coal closure to justify the purchase and installation of additional natural gas-fired generation when what is really needed is a much stronger commitment to energy conservation and efficiency. Physicians for Social Responsibility (PSR), Washington, D.C.
For example, in 2008 over 90% of JBPU ratepayer electricity requirements were met by the JBPU’s low cost NYPA power allotment. In 2009, that figure was 100% and in 2010 it was 94-100% depending on how the data are analyzed.